Welcome to Aloha Realty of Florida, LLC. Angie was born in Quincy, Florida, but left the Sunshine state at an early age and traveled the globe. She operated businesses in Australia, Saipan, Guam, London, Alaska, and eventually the Hawaiian Islands. 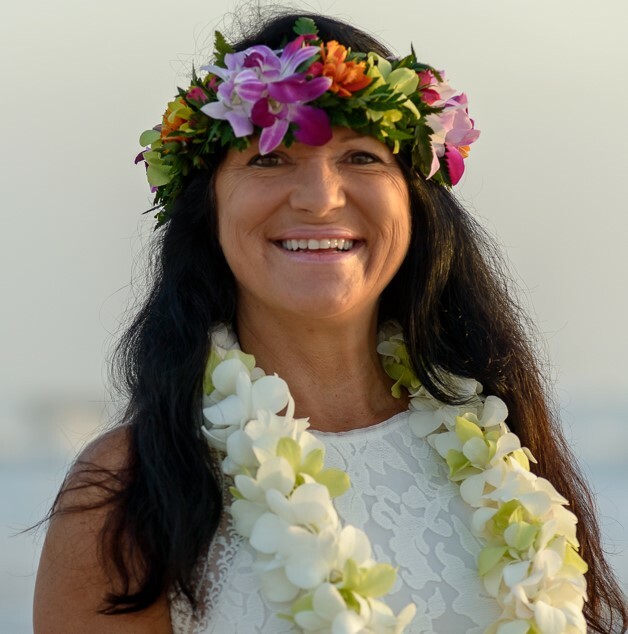 It was during her time on the Big Island that Angie came to embrace the Aloha Spirit, the gracious, friendly acceptance shared with her by the native islanders. Angie brought this spirit with her when she returned to Florida and opened Aloha Realty of Florida, llc in Ormond by the Sea. There her customers are treated like family and many become close friends. Her beach get-togethers help spread the Aloha Spirit and introduce new residents to her extended family and friends. She enjoys working with those who seek to change their lives by owning a home near the ocean, where they can enjoy the laid back lifestyle, and experience the beauty and serenity of the beach every day as she does. Life is short, buy the beach house! "We weren't really in the market for a house just yet when we happened to drive by Angie's open house and decided to take a look. We loved the home! ... more "
"I emailed Angela and in less than two days she helped me find a house by the beach, find a loan at a good rate, and find insurance at a great price. I ... more "
"Angela was incredible...I researched local Realtors and found that she had been very active in the area. From my first phone call to the day the home ... more "